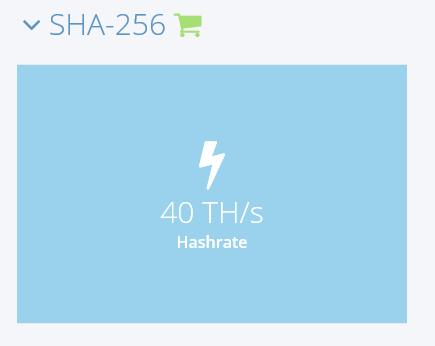 The Hash Flare portal is straight forward to use with the, no becoming, traditional slide bar to purchase your hashing power. The contracts are a fixed 12 months unlike Genesis that are until they are no longer profitable. The check-out is smooth as they use Cryptopay.me for processing the payments. 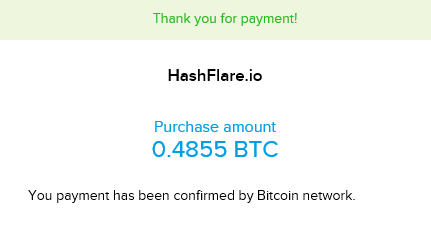 Payment went through in under 30mins and was recognised as soon as the first confirmation was seen in my wallet. Create a FREE account on HashFlare NOW! It should be a full 24 hours before the stats will start to reflect the estimated earnings with credits to your account at Midnight each day. As you can see, the returns at the moment are impressive and project a 8-10 Week return on investment.